The stars of our spring tables include asparagus, which might need scant dressing other than a little butter, as well as leafy greens, like arugula, kale, mustard and broccoli rabe. While premixed dressings are certainly an option, making your own dressing can be as easy as measure and mix. The result? A more flavorful, and often healthier topping for greens. To make your own dressing, go with the old-school approach: one part vinegar, three parts oil (it acts as an emulsifier, thickening the mix) and some kind of flavoring. 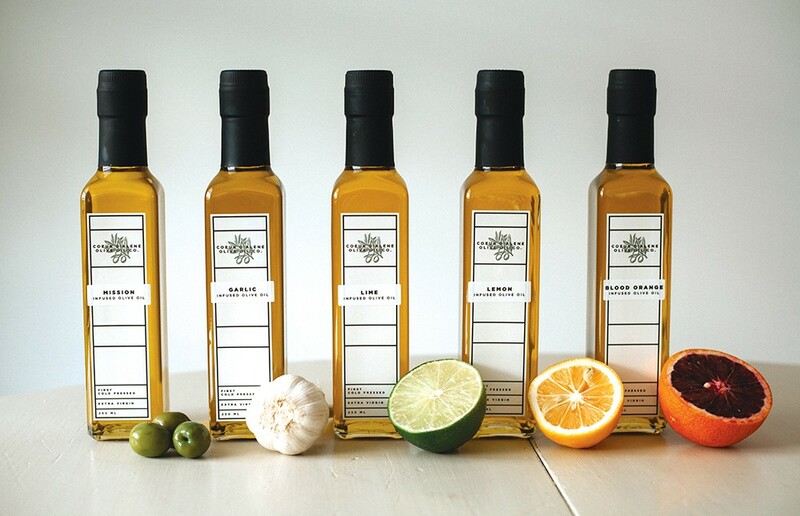 But why limit dressings creation to plain oils and standard vinegars when Coeur d'Alene Olive Oil serves up a variety of palate-pleasing options for both? Olive oil options include Mission, which offers a more robust olive taste, as well as Lime, Lemon, Garlic and Blood Orange. All are available in varying size jars or as a refill at Coeur d'Alene's Culinary Stone. Next you'll need some vinegar. Coeur d'Alene Olive Oil's line of vinegars ranges from lighter Champagne, Lemongrass and White Balsamic to richer blends like Bourbon and Raspberry. Sandra Gunn created Coeur d'Alene Olive Oil in 2013, setting up shop in downtown Coeur d'Alene. A year later, she created the Culinary Stone shop, bringing the olive oil company under the same roof. The Culinary Stone is located at 2129 N Main St in Coeur d'Alene's Village at Riverstone. The original print version of this article was headlined "DRIZZLE IT!"